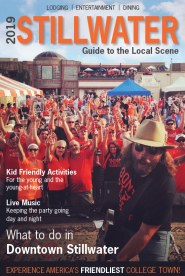 Need a way to get more involved with the Stillwater community? Stillwater Area United Way's Day of Caring is the perfect opportunity to get together a group of coworkers, friends or family and get involved! More than 100 projects will be completed throughout the day. Happening Thursday, September 19th, Day of Caring offers a wide variety of projects including painting, planting flowers, mulching, decorating, and much more. Projects are directed toward United Way of Payne County's 22 partner agencies, which are all non-profits.